How to watch Viceroy's House (2017) on Netflix Argentina! Sorry, Viceroy's House is not available on Argentine Netflix, but you can unlock it right now in Argentina and start watching! With a few simple steps you can change your Netflix region to a country like USA and start watching American Netflix, which includes Viceroy's House. We'll keep checking Netflix Argentina for Viceroy's House, and this page will be updated with any changes. Viceroy's House is not available in Argentina BUT it can be unlocked and viewed! As viceroy Lord Mountbatten arrives in Delhi to oversee a transfer of power from Britain to India in 1947, war looms between religious factions. The rule of an empire comes to an end, the birth of two new nations looms. And so does the threat of civil war. There is a way to watch Viceroy's House in Argentina, even though it isn't currently available on Netflix locally. What you need is a system that lets you change your Netflix country. 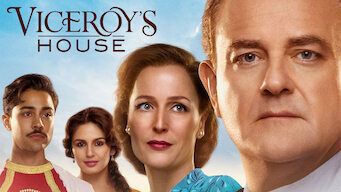 With a few simple steps you can be watching Viceroy's House and thousands of other titles!